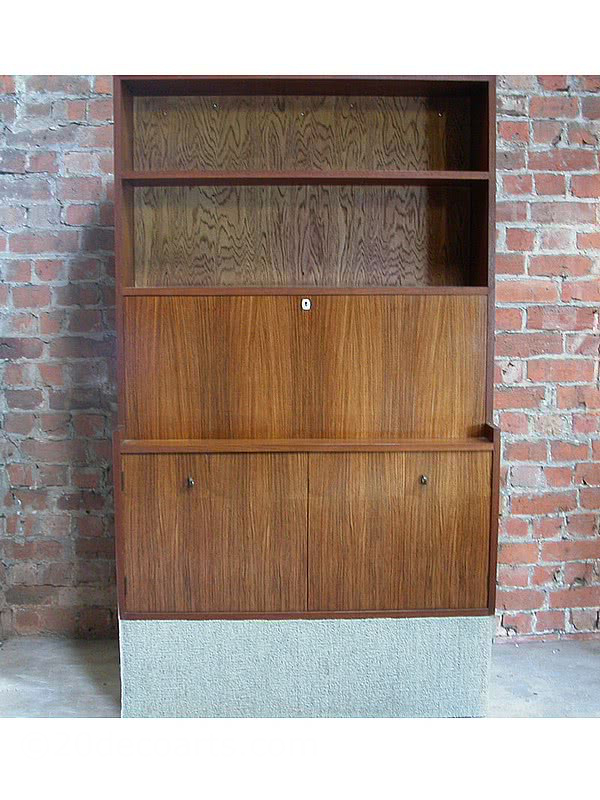 Robert Ingham Wall Unit / Bureau Made from solid teak, the doors fronted with rosewood, fitted interior in sycamore with rosewood fronted drawers circa 1969. 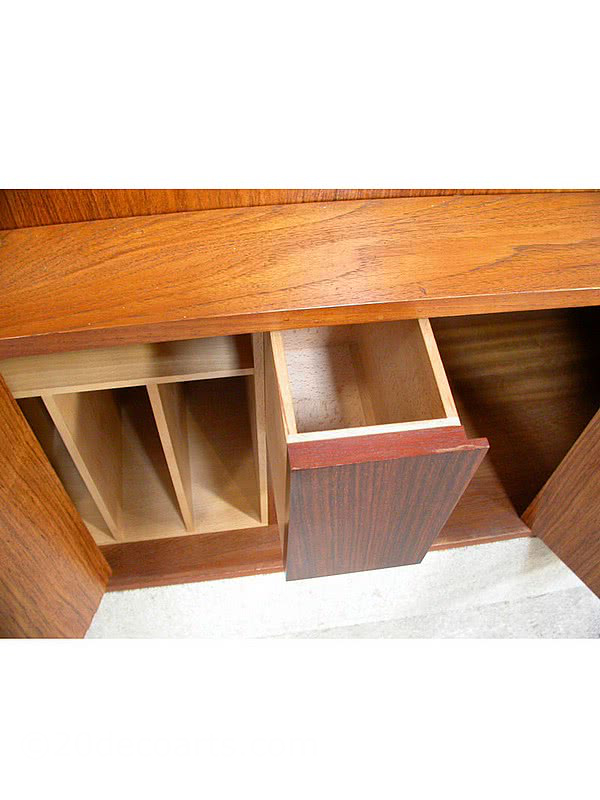 149cm high x 105cm wide x 38cm deep. 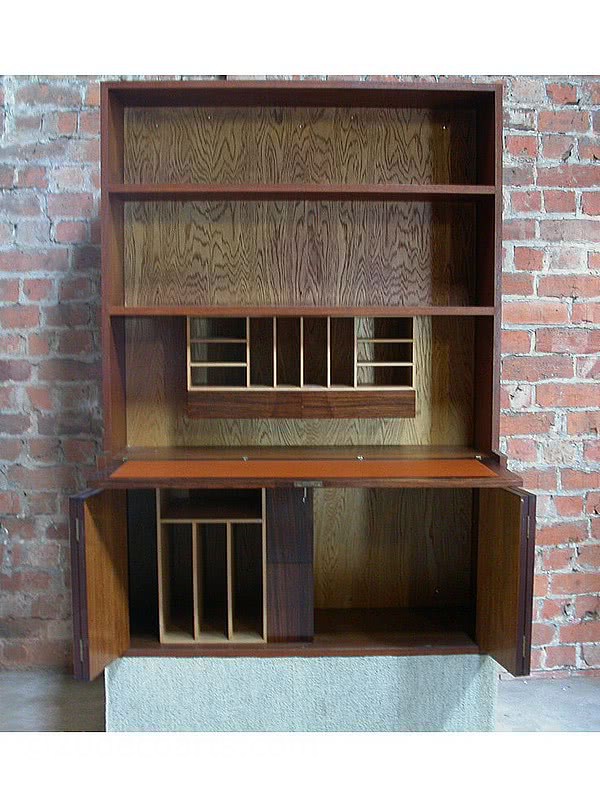 This piece comes with a letter of authentication from Robert Ingham, the unit was designed to be wall hung but also comes with a carpeted plinth which lifts it 30cm off the floor. 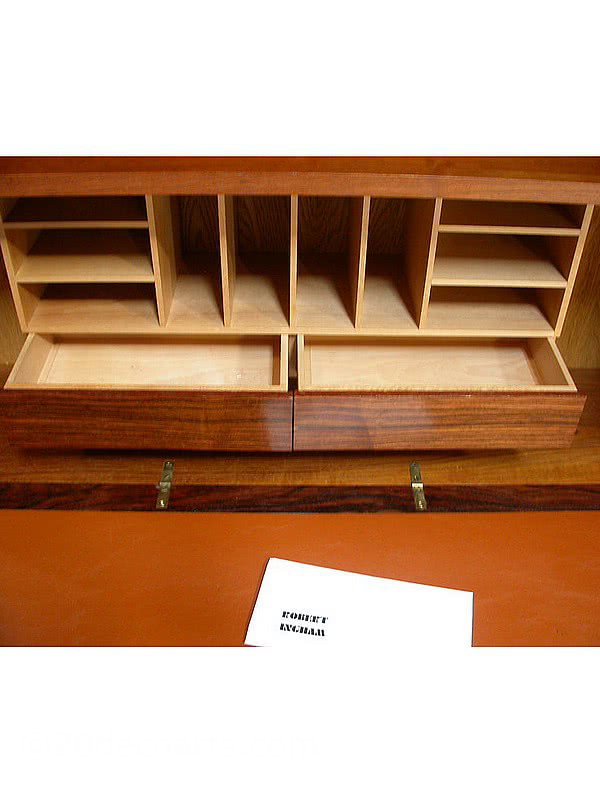 This bureau is a one off piece designed by arguably Britain’s most influential and finest craftsmen. Robert Ingham was the principle of Parnham School set up by John Makepeace and had a big influence on the new generation of craftsmen that passed through the school, one pupil David Linley is quoted as saying’ “I was lucky enough to be taught by Robert Ingham, in my opinion one of the best furniture makers in England”.